Dellen are areas of corneal thinning secondary to stromal dehydration. They typically occur at the corneal limbus near areas of adjacent elevation. 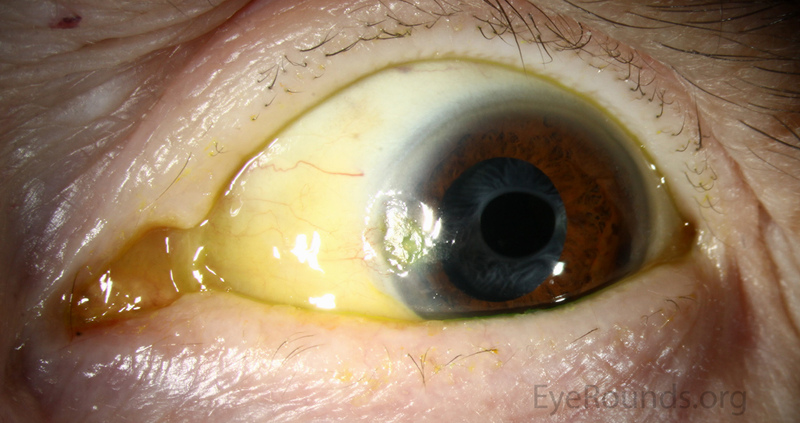 Stromal hydration can usually be restored with frequent ocular lubrication. This patient developed persistent nasal chemosis after Mohs surgery for basal cell carcinoma.